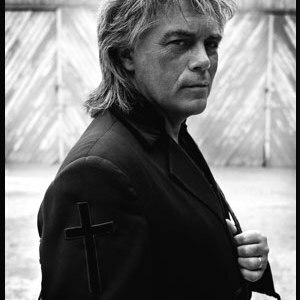 Marty Stuart (born John Marty Stuart September 30, 1958 in Philadelphia, Mississippi) is an American Country Music Singer, known for both his traditional style, and eclectic merging of rockabilly, honky tonk, and traditional country music. In the early-1990s, he had a successful string of Country hits. Once infamous for his flamboyantly hedonist party image, he is now a born again Christian and records both Country and Gospel music. He is known for wearing rhinestone-studded "Nudie suits" onstage, but after the passing of his friend Johnny Cash he now wears black in his honor.